We love being an oregon wedding dj emcee. Rebecca and Chris’s wedding at the Abernethy Center in Oregon City was no exception. The Abernethy Center has multiple venues as part of their services. For today’s wedding ceremony, we were at the Chapel. At the Abernethy Center, they take care of providing mikes for the ceremony. We took care of playing her music perfectly timed for each entrance. For the reception, we moved to the Abernethy Center ballroom. Robin and her staff had prepared everything for the event. The cocktail hour was great as guests mingled and played in the photobooth. After their grand entrance, we watched as Rebecca and Chris did their first dance…. Toasting was open and we had the chance to hear some wonderful words from the couple’s mothers. These are those once in lifetime moments you never want to forget. As a special surprise, Rebecca danced with her great grandfather to the sound of Tony Bennett signing “The Way You Look Tonight”. It was really a wonderful moment. Adding to the fun at their wedding, guests and staff enjoyed the photobooth. Creating fun memories for all! It was an absolute pleasure to be part of Rebecca and Chris’s special day. Creating the perfect day is what we do best. 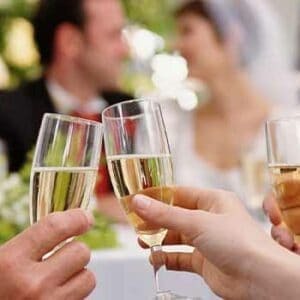 Let us help you plan a wedding that will be remembered. You can find our more about the Abernethy Center and their wedding services here. Contact us and let us be your oregon wedding dj emcee. 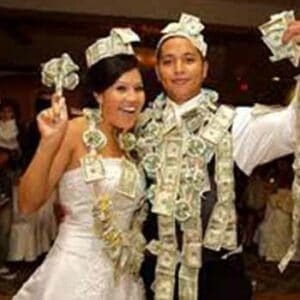 Find Our Wedding DJ packages!